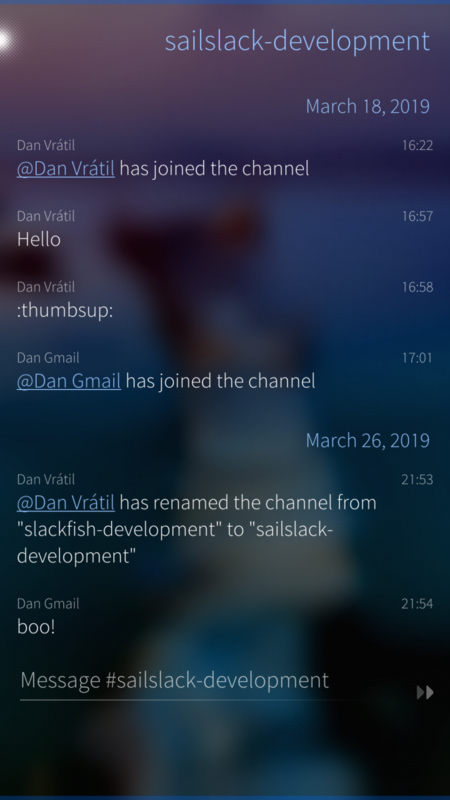 Unofficial opensource Slack client for Sailfish. SailSlack is a fork of Slackfish by Markuss Sammallahti. It has been fixed to work with the current Slack API and improved to handle larger teams, support multiple teams and various other smaller fixes and enhancements. This is still an alpha-quality software, do NOT rely on it for work! 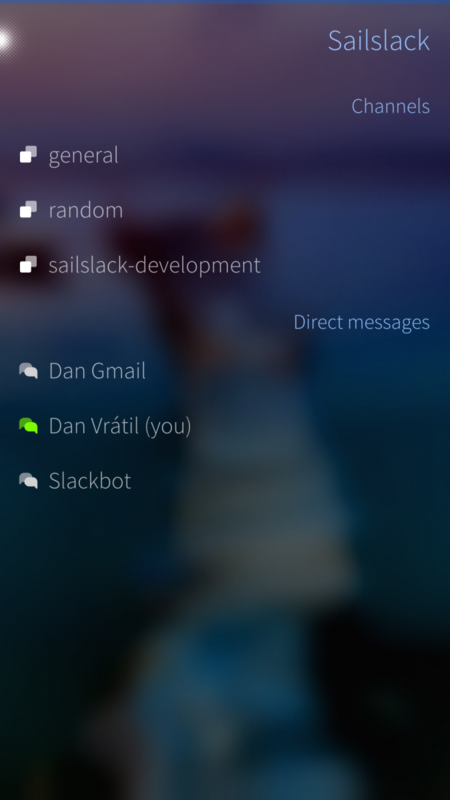 I've been waiting for some time an app for Slack.